Just Shutters are the premier specialist plantation shutter company and can provide the widest range of styles, materials and finishes to ensure your shutters are as unique as you are and match your home perfectly. Marlow has been named as one of the ‘hot’ places to live in the UK, with it’s stunning scenery, fabulous transport connections and it’s streets steeped in romantic history, it is clear to see why. We at Just Shutters have years of experience working in incredible homes of all shapes and sizes, from listed buildings to modern manors and everything from flats to hotels besides. 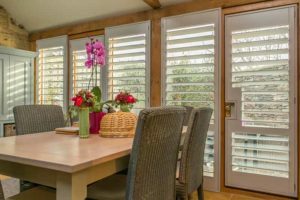 So we appreciate, whether you have an idyllic cottage or an apartment on the river, your home is your castle and with the UK’s finest range and widest choice, we have just the shutters to match. We built our company on two things – great products and impeccable service. Just Shutters are the top rated and reviewed shutter specialist in our area, with more 10/10 reviews than any other, we can boast over 7000 happy customers. We make it our business to listen to you, understand your needs and advise you of all available options, whether that is from our great value range or our most expensive ranges. We have the product and finish to suit you, your home and your lifestyle, and what is more ALL our shutters are priced to include design, creation and installation and ALL come with a lifetime guarantee as standard, no hidden extras and no cutting corners. So you can honestly say they offer the whole package! We would love to show you just why we have earned our reputation for quality and service, if you would like to talk to us further or book a design visit please call 01494 917 055 or follow the links above. 3x shutters fitted (made to measure). Shutters for wardrobe doors fitted.